This question is vital to be able to know where the situation will be headed because it will be the lender, based on all the information that you provide about your economic situation, which will tell you that option is the one that best suits you. Make sure you understand very well what are the possibilities you have and guide yourself by what the professional recommends. Here we go into matter, since, it is the moment in which your lender must provide you one by one the points that will be added to get the final cost. He must specify the different interest rates, taxes, closing costs and other expenses that are part of the process and that one by one will be reflected for his knowledge. As we know, each process is handled according to an estimated time and if this limit is exceeded, the deal can not be made, therefore, it is elementary that the lender has very clear dates and assure you that everything will be ready for the times that have been previously established. 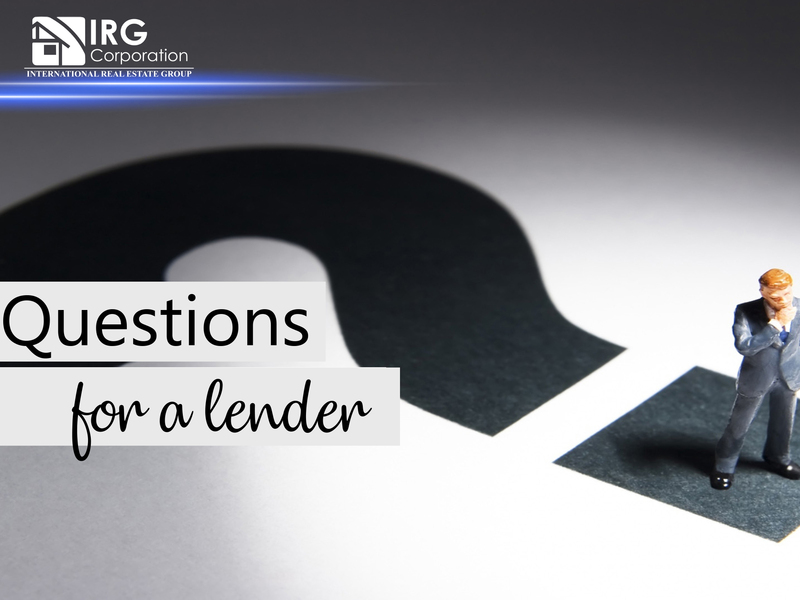 If the relationship with your lender is based on professionalism and sincerity, this question can help you avoid situations that you can not handle. If he believes that you are in optimal economic conditions to opt for a loan he will let you know, otherwise he will recommend other options or tell you what to do from there. Here we find two important points because it will be the money that will initiate the process and the other will be the payment that you will have to do to replace the loan. The initial payment represents a percentage that must be paid which will be specified by the lender you have hired and the monthly payment is the temporary installment of money that must be paid that must be within the logic of your financial budget to avoid having more debts of the one that could cover. Feeling safe is essential to make intelligent decision making and this can only be achieved by answering the questions that most bring you doubts. Take the time to review the options one by one and find the best place to start this journey through real estate in which you can easily find the opportunities you are looking for.